The Nokia Lumia 830 has appeared in leaked pictures online, but reports it'll be a budget WIndows Phone 8 handset are rather unlikely. Images appeared on Chinese website WPDang showing the Lumia 830 in five different hues, but precious little information accompanied them (and WPDang has a hit and miss reputation with leaks). Some have suggested the Lumia 830 could be the Windows Phone 8 successor to the Nokia Lumia 710, however that seems pretty unlikely – our money is on a region specific version of the 820. The evidence? Nokia has already said it's naming process would be more transparent: lower numbers at the start would mean cheaper handsets, so beginning with an '8' wouldn't make it any lower-priced than the current 820. If the handsets in the photos are Lumia 830, then it looks like Nokia will be moving slightly away from the design is used for the Lumia 820, as it looks more like the HTC 8X for the Chinese market. 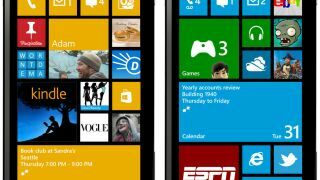 There hasn't been any word from Nokia about its future Windows Phone 8 devices, but we can be pretty sure more models will be entering the market early next year. TechRadar will be in attendance at CES and MWC in the first couple of months of 2013 to bring you all the latest mobile news live as it happens.